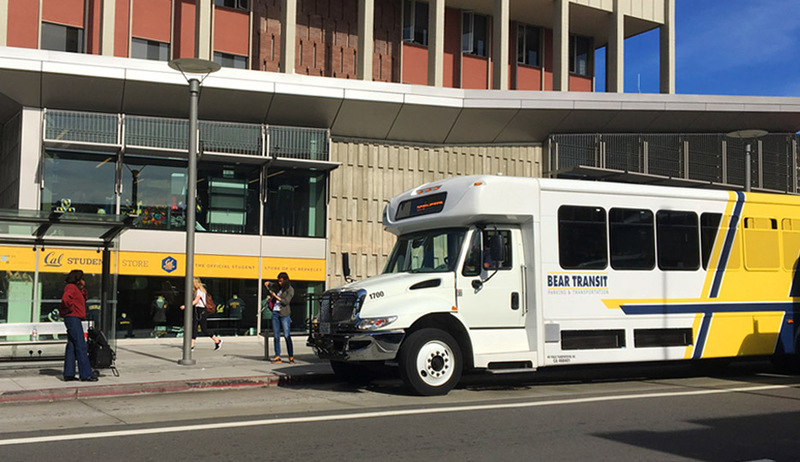 The UC Berkeley Department of Parking & Transportation (DPT) engaged CHS Consulting Group to evaluate the productivity and efficiency of its Bear Transit service, a free campus shuttle for students, faculty and staff. Bear Transit provides service on three fixed routes, linking the main campus with downtown Berkeley, the Lawrence Hall of Science in the Berkeley Hills, and the Richmond Field Station. Service operates Monday through Friday from 6:30 am to 7:30 pm; a door-to-door shuttle provides nighttime safety service between 7:30 pm and 2:00 am. CHS Consulting Group developed a detailed assessment of service design, service productivity, service reliability, and cost efficiency. CHS managed a team of UC graduate students to collect data and conduct a survey of Bear Transit riders. CHS quickly analyzed the system and identified several areas in need of improvement, such as low ridership and vehicle utilization on off-campus routes, substandard ontime performance due to traffic conditions, and passenger activities in between stops, among others. Based on these findings and additional input from DPT, CHS developed 12 key recommendations and weighed their benefits and costs. Seven of these recommendations proposed route modifications to improve the service productivity and cost efficiency; three focused on bettering service amenities and rider satisfaction; and two addressed layover, driver breaks, and scheduling. These recommendations were submitted to DPT in March, 2013. To date, DPT has been able to implement nine of these recommendations.